Mallory Weggemann has been a competitive swimmer since the age of seven. On January 21, 2008, she went to the hospital to receive her third and final epidural injection that she was receiving to help treat back pain caused by postherpetic neuralgia. The epidural injections that were supposed to help with the debilitating pain instead left Mallory a paraplegic with complete loss of movement from her abdomen down. Just three months after her injury at the age of 18, Weggemann chose to return to the pool. In April 2008, her older sister found an article in the local newspaper discussing the Paralympic Swimming Trials at the University of Minnesota. Through the encouragement of her family, Mallory attended the meet as a spectator with her sister and met several of the US National Team coaches, as well as her former coach, Jim Andersen. 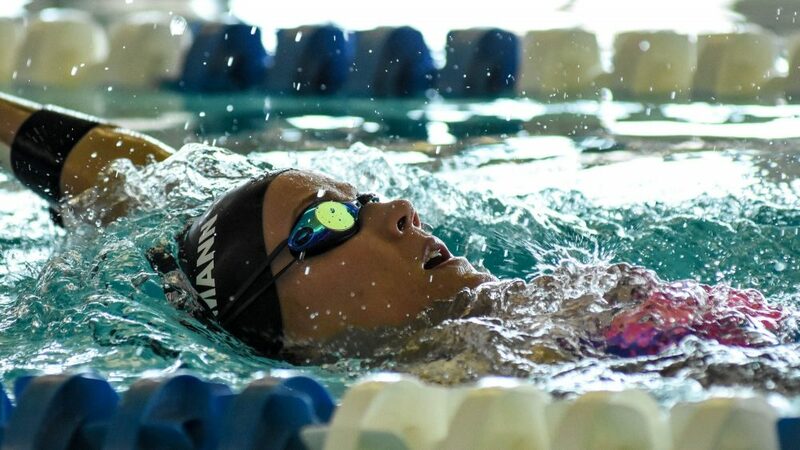 Still coping with her new disability, Weggemann found one thing unchanged, her love for swimming. Mallory touts her Paralympic trials experience as a game changer, saying, “I have always loved the sport but when this happened I thought my days of swimming were over and when I realized I could still do it, well I will never forget that moment.” The following Monday, Weggemann returned to the pool and has been swimming ever since. Less than sixteen months later, Mallory broke her first set of world records at the 2009 Can Am Speedo Para Swim Meet. 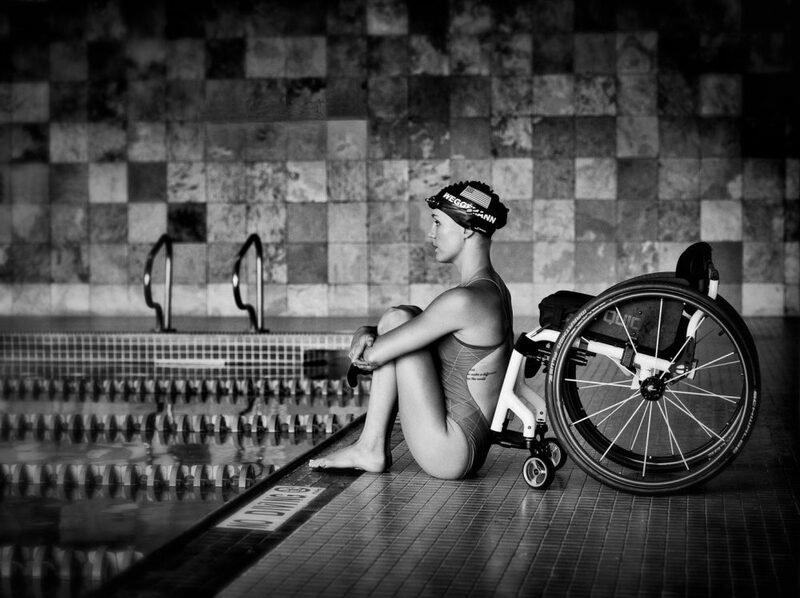 Now, she holds 34 American Records, 15 World Records, and two Paralympic Medals – one gold, the other bronze. Weggemann’s Gold Medal race has been deemed one of the most memorable moments of the 2012 London Games, inspiring audiences around the world. Lets get to know some health & fitness secrets from the Paralympic Swimmer Mallory Weggemann as she catches up with Namita Nayyar, President Women Fitness. You have been a competitive swimmer since the young age of 7. You became paraplegic after an epidural injection to treat post-shingles back pain in 2008, but soon started competing as a Paralympian. You reached the pinnacle of success by winning multiple gold medals at the IPC Swimming World Championships in 2009 and 2010. Tell us about your journey to this spectacular success and what factors you consider were responsible that made you achieve that? Following my paralysis in 2008 I thought that my days of swimming were over. Unfortunately, prior to that time in my life I had never been exposed to disability sport or the Paralympic movement. It wasn’t until my sister saw a newspaper article about the Paralympic Swimming Trials for the 2008 Beijing Games that were be held about 30 minutes from our families home that we learned about the Paralympics and para sport. Within days I returned to the water and in a lot of ways it seems that the rest was history. Although for myself the water was where I found healing, in so many ways it was therapeutic for myself. After my injury, I had a hard time understanding that a single moment in my life could completely change how society viewed me, I was now placed in this bucket as an individual with a physical disability. I couldn’t relate or understand that term, it seemed as though people wanted to now tell me all the things I was physically incapable of and I hated that. That is when I found myself turning to the water, I felt that in the pool, while I was swimming, I was in control. In a lot of ways it was my escape from the emotions I was feeling outside of the pool, but it also served as my constant at a point in my life when everything was changing. In the water I could physically excel, I could control my technique, I could train harder to become faster. I felt in the early years of my career that the more success I had the more I was fighting back against the notion of being disabled. I am incredibly proud of the success that I had in my early career and for me those medals symbolize young woman who was struggling to define herself and turned to a sport she knew and loved so deeply to find her answers. The medals in no way define me, although they represent the fight I had within myself to find my way through life after my injury. At the end of the day, what brought that success was a lot of hard work, dedication and just deep rooted love for the sport that I had grown up knowing and loving my entire life.